At first glance, this photo looks just like two bouncing baby brothers happily posing for a sweet sibling photo. 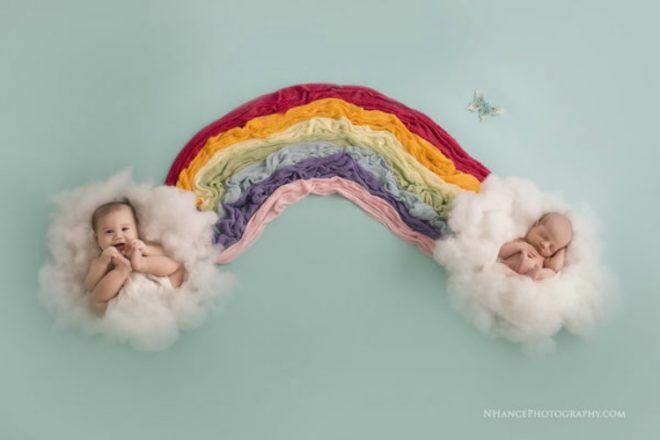 But there’s so much more to this rainbow baby photo shoot. The story that goes with it is one that every mother, especially those who have suffered a miscarriage, stillbirth or neonatal death, needs to read. There is nothing more heartbreaking, more painful or more unfair than when a parent loses his or her baby. But it is something that happens each and every day to countless couples. Cindy and Jim Bob Haggerton are one of those couples. The pair lost their third child, a boy they named Evans, shortly after birth and the heartbreak will remain with them forever. 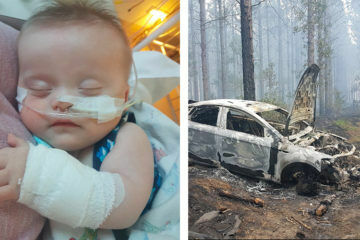 Evans was born eight weeks early and soon diagnosed with Potter syndrome, a genetic condition that can result in kidney failure and heart defects. Evans died three hours after birth. However, through this cloud of darkness, something bright happened. 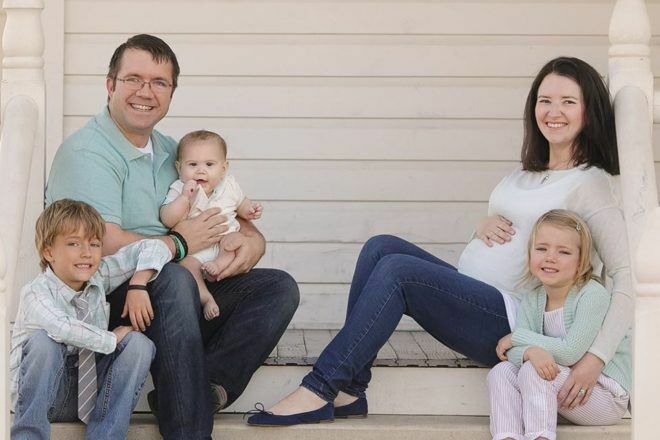 One year after their loss, the couple received a phone call informing them that a newborn needed a home. Cindy and Jim Bob didn’t hesitate to proceed with the adoption. They welcomed little Tate to the family with open arms. Like millions of other children, Tate is a rainbow baby. This is the name given to a baby that comes after a miscarriage, stillbirth, neonatal death or infant loss. Like a rainbow, rainbow babies symbolise light after a dark storm, hope after loss and strength after sadness. Adding Tate to the family was only the first surprise that the Haggerton family had in store for them. Shortly after adopting Tate, Cindy discovered she was pregnant again. 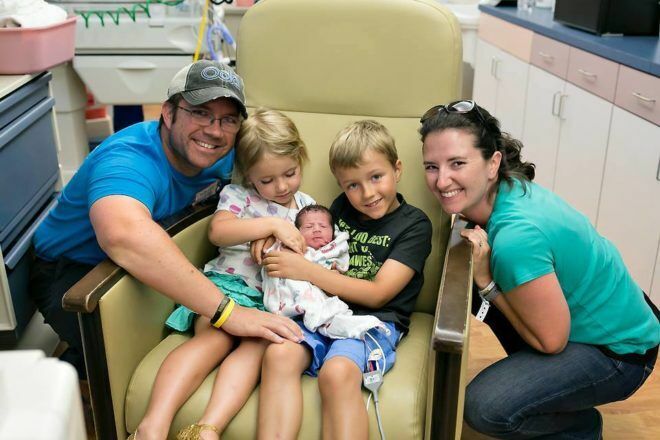 She and Jim Bob welcomed their fourth son into the family – Whitten – less than a year after Tate. Photographer Natasha Hance, of Birth Unscripted, had been a family friend of the Haggertons for years. 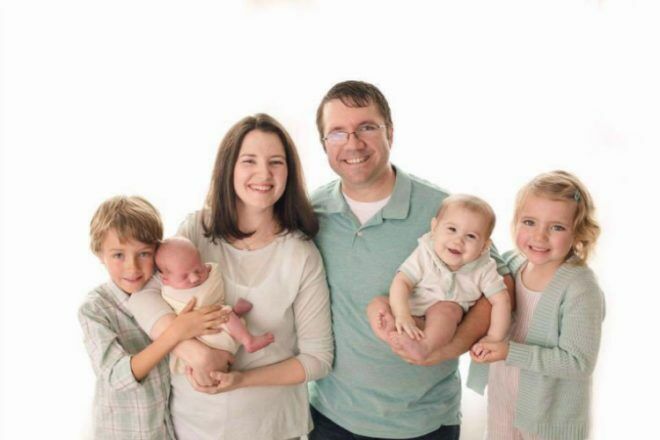 Natasha had documented the birth of each of the elder Haggerton children and the family had a newborn photography session booked with Natasha before baby Evans passed away. When Cindy asked about a photo shoot that honoured the three little boys, Natasha didn’t hesitate to say yes. What resulted was a photo that allows the family to commemorate little Evans all the while celebrating the joy of each rainbow baby brother. A brother lost. A brother adopted. A brother born. 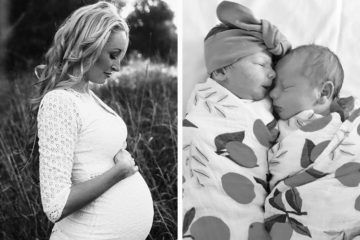 “When we did his newborn session we wanted to do something that would tie the three boys together,” Natasha tells Parents.com. The photo also helps keep the memory of little Evans alive and close to his big brothers. An estimated one in four pregnancies end in miscarriage while six babies are stillborn every day in Australia. Many women do not realise how common this loss really is. Many couples have trouble finding happiness after such a heartbreak. And many families will forever struggle coming to terms with this loss. The Haggerton’s bittersweet yet beautiful photo reminds us all that, even in the darkest days of losing a child, there can still be joy from new light (and new life) ahead. Closer to home, model Megan Gale is expecting a rainbow baby of her own, as revealed in our article about her sweet pregnancy announcement.